Injuries to the knee joint account for around one third of all skiing injuries. One of the most common is the ACL, a short ligament in the middle of the knee which provides stability and limits rotational movements. It is easily damaged especially during a slow, backwards fall where there isn’t enough sudden force to spring the bindings open so pushing the back of the boot forwards into the calf or by trying to stop a fall by standing up putting all the weight on the outside ski and twisting the arms and trunk towards the mountain. The result is that the ligament is strained, partially torn, or fully ruptured, often in association with other structures within the knee-joint. including strength, proprioception and balance exercises and a knee brace may be an option. However if you’re more active and your knee ‘buckles’ giving way regularly and there is a lack of strength then this instability can lead to arthritic issues and more permanent pain. One option is reconstruction. It’s nearly always a day case using keyhole techniques, often grafting a small part of the hamstring to take the place of the ligament. Although the rehab period will be around six to nine months, the success rate of the ACL reconstruction is very high. If you do have an ACL reconstruction, working with your physiotherapist throughout rehabilitation is essential to ensure your knee is as strong as possible and thus less susceptible to re-injury. Preparation is essential to reduce risks. Skiing uses specific muscles and weak, tired muscles give less protection to the joints making them more injury prone. Ideally you should start a specific conditioning programme at least six weeks before you go involving aerobic training, such as walking or biking, so you can ski a full day. Strengthening and plyometric exercises help build power, strength, speed and balance in your core and legs which along with agility drills will minimise the risk of injury. 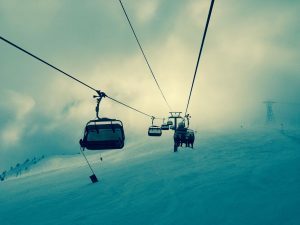 At Whalley Physiotherapy we tailor and manage specific exercise programmes so you can make the most of your skiing holiday.